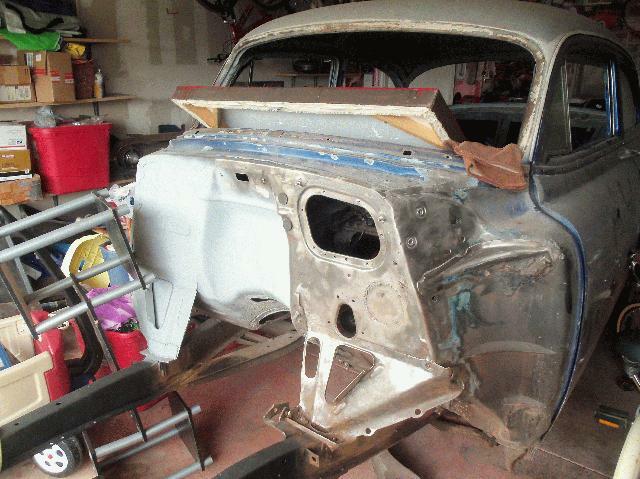 FOR SALE: 1953 Chevy 210 2 Door Sedan Project! ·Firewall bead blasted and filled. ·Interior roof & doors bead blasted and primmered. ·Stock rear end bead blasted, painted, and new brakes. ·“Jamco” 3” Drop lowering block kit installed. Stop light switch, and combo valve. With rubber mounts and hardware, 53-54 transmission cross member Kit. ·“New “Easy Wiring” 12 Circuit wiring harness. ·“New “Dolphin Instruments” 5 Gauge white programmable speedometer set, and GM style pulse generator, 1953-54 Billet dash insert for 5 gauges. ·New “Kanter” Assorted lights, lens parts and gaskets. ·(2) Windshields (1) rear window. ·(2) Complete sets of trim plus lots of extra pieces. ·1990 “Camaro” Chevy 305-engine w/FI. ·2002 “Blazer 4X4” Rear end. .$7,200 Invested,Texas Title, and all receipts. WAY TO MUCH MORE TO LIST CLICK ON LINK BELOW FOR MORE INFO!